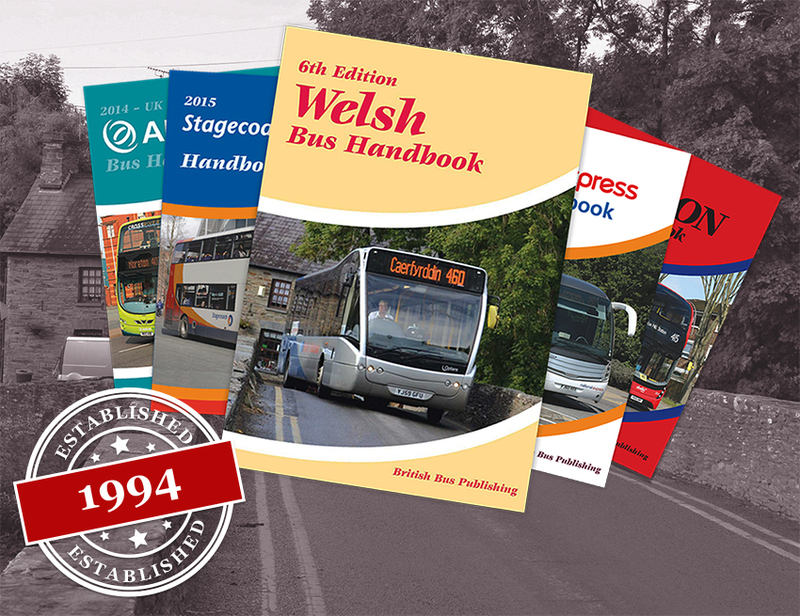 British Bus Publishing was established in the early 1990s to continue the Bus Handbook series of guides to bus and coach operators established by Capital Transport. The books are a quality product aimed at the transport enthusiast and the bus and coach industry to pride accurate listing of the vehicles operated at the time of publishing. They also able to provide a record for historic purposes and with that in mind we will continue to supply the earlier edition while they remain in print. In addition, to the books British Bus Publishing are importers into Britain of the German models made by Rietze as well as the established makes of EFE, Corgi, Britbus and Creative Masters models. These can be ordered from the stock list or we can import your Reitze models if you can send an e-mail with your requests. Over the next few months the number of books and models offered from this site will increase, and we look forward to your orders. If you have any problems or wish to speak to someone, please call the order line, 01952 255669, which is normally manned Monday to Thursday, 09:00 to 21:00.